Wakefield Sports Club01924 365007work Club/SocietyEstablished in 1847 Wakefield Sports Club, located within walking distance of the Town Hall, has been home to many sports over the years. At the moment they are home to Wakefield Bowls, Squash, Hockey and Target Sports Clubs. The Bowls Club has 2 Crown Greens with its own club house. The Squash Club boasts 3 glass backs and 1 standing court with recently upgraded areas and a professional coach on site, the club is looking to the future for its members. The Hockey section recently played host to the Chinese Ladies Hockey Team made possible due to the 2 world class water based pitches. The pitches can be hired out for other sports such as Football, Touch Rugby and Rounders etc. The Target section has 2x25 metre ranges suitable for black powder, air weapons, 22 pistols and air rifles plus a 25metre disabled range. 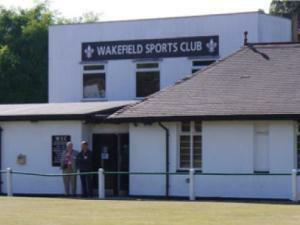 Established in 1847 Wakefield Sports Club, located within walking distance of the Town Hall, has been home to many sports over the years. At the moment they are home to Wakefield Bowls, Squash, Hockey and Target Sports Clubs. Cross over main road A61 to Light Waves Leisure Centre. Walk along Saville Street and College Grove Road. Follow this road until it becomes East Moor Road and the Sports Club is on Eastmoor Road.